We do our homework on the front end to provide a sign you can be proud of. 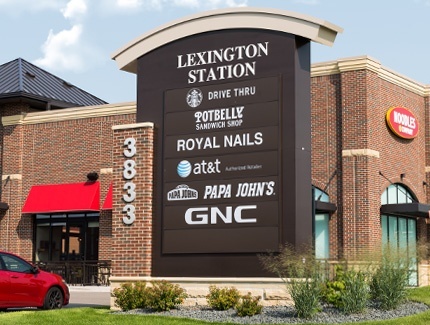 Once we’ve discussed what you are looking for in a sign regarding the size, type, and placement, we do a site survey of the desired location. First we have a dedicated team research your location’s city codes. Our team will take field measurements and pictures during this stage to ensure we are meeting your needs and objectives when it comes to your sign. We provide an engineer on-site and have a private utility locator as well. The on-site survey is a vital step in our process as we never want to make assumptions and sacrifice the visibility of your sign. We have a two week turnaround from the initial meeting to our first presentation. This includes the sign site survey findings as well as the city code. We then submit the required permits on your behalf. We know how to get the maximum value out of your sign. Let's talk.